The masses have spoken! After my wildly successful debut as a blog post writer, Tyler and I have collaborated to create a post so exciting that we may just increase our readership to tens of people! This project started as an idea of Tyler’s. He, my husband, and I all volunteer as mentors for a high school robotics team, the TerrorBytes. The team participates in the FIRST Robotics Competition, which has very strict rules about building times and deadlines. This makes it beneficial to have a countdown clock. Last year, Tyler made one online that we would display at meetings. It was not ideal because it relied on internet and we didn’t have internet that was reliable. 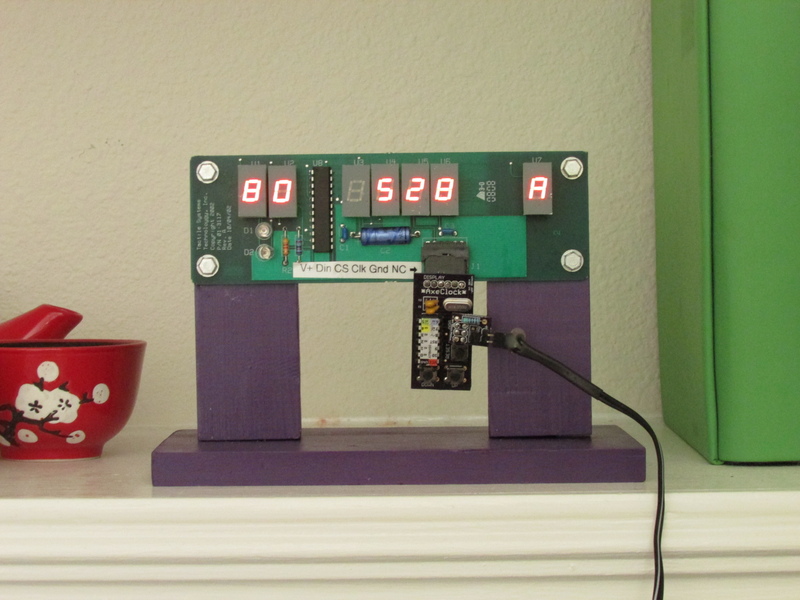 Tyler came up with the idea for a physical sign based on an AVR chip and some jumbo 7-segment displays. 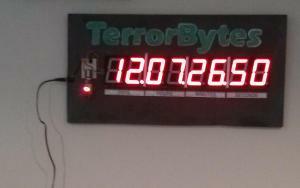 The result is the TerrorBytes countdown clock! This blog post came about because I saw Tyler’s Ax Clock post and wanted one for myself. He wrote a nice blog post about it, but I didn’t know enough to make it myself so I asked him to help me. 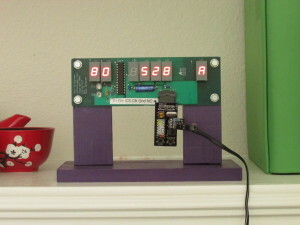 As we were making the clock, Tyler asked me if I would like to make a guest post on his blog. I was not sure if this was a good idea because a) Tyler has already made a post about this same project and b) I know basically nothing about electronics or programming. This did not stop me from immediately agreeing to do it.